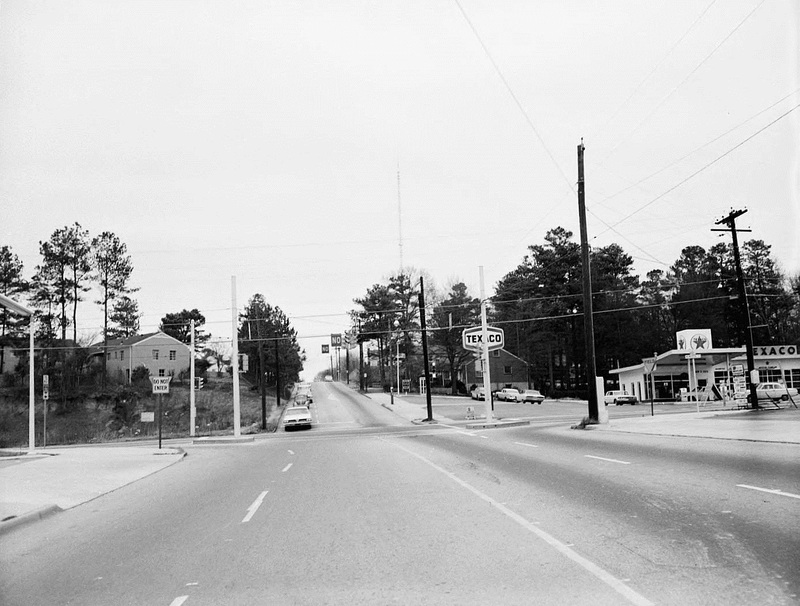 Since the early history of the Gate City, Memorial Drive has been a beating artery of Atlanta, pulsating traffic and people, pushing them out to eastern suburbs, and pulling them into industry and downtown office buildings. Areas such as Cabbagetown, Grant Park, Reynoldstown, Kirkwood and others have benefited from this industry and traffic, many of them owing their genesis to the historic corridor. Traveling on Memorial offers a full range of buildings from Atlanta history, with almost each successive block holding a structure from past time periods. 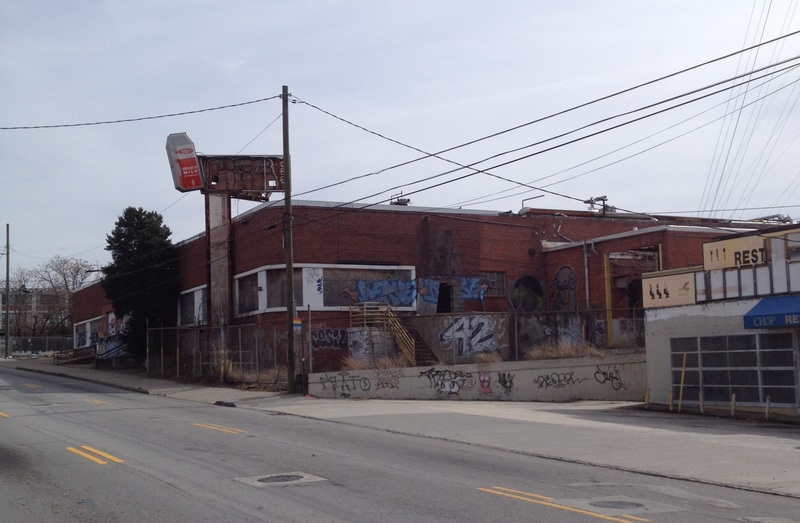 This mixed appetizer plate of historic warehouses, manufacturing plants, automobile stations, schools and more is in danger, with the architectural examples that line this drive quickly deteriorating into the shadows of Atlanta history through both neglect and development. 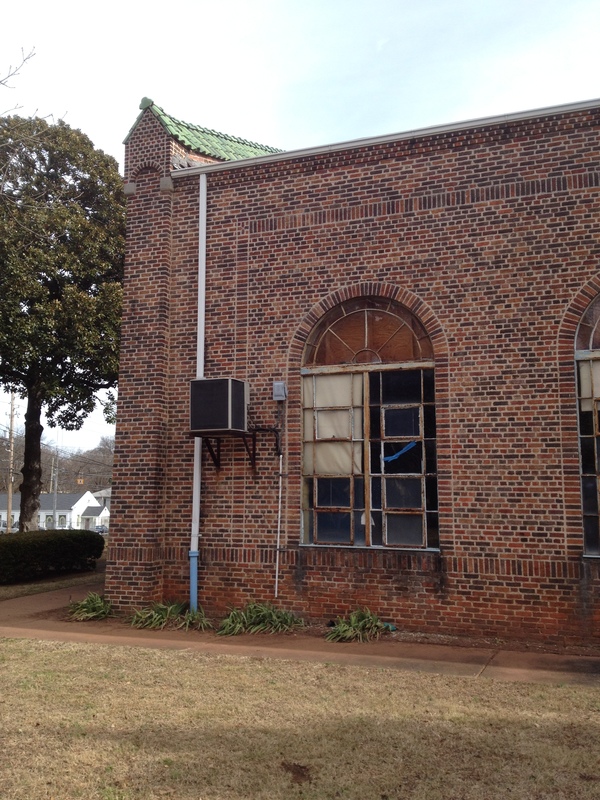 This article on the Memorial Corridor is the first in a series featuring endangered historic structures, districts and objects in Atlanta. Our 2014 Endangered Atlanta History Series was inspired by the Atlanta Preservation Center’s List of Most Endangered Places. If unfamiliar, the Atlanta Preservation Center (APC) was founded in 1979 and is located in the historic L.P. Grant Mansion in Grant Park; visit the Atlanta Preservation Center website here to learn more about this organization devoted to local preservation. The Memorial Corridor was added to APC’s Most Endangered Places List in 2013. As defined by the APC, the endangered Memorial Corridor runs into the city of Atlanta along Memorial Drive, starting at Moreland Avenue and ending at the Georgia State Archives Building (pictured below). Memorial Drive was once called Fair Street, and the history packed into this narrow corridor is impressive. We can start the history of this roadway with Oakland Cemetery, which was created as Atlanta’s official cemetery in 1850. It’s considered the only existing pre-Civil War “historical asset” along Memorial Drive. The Memorial Corridor offers many examples of old post-Civil War warehouses and industrial structures. 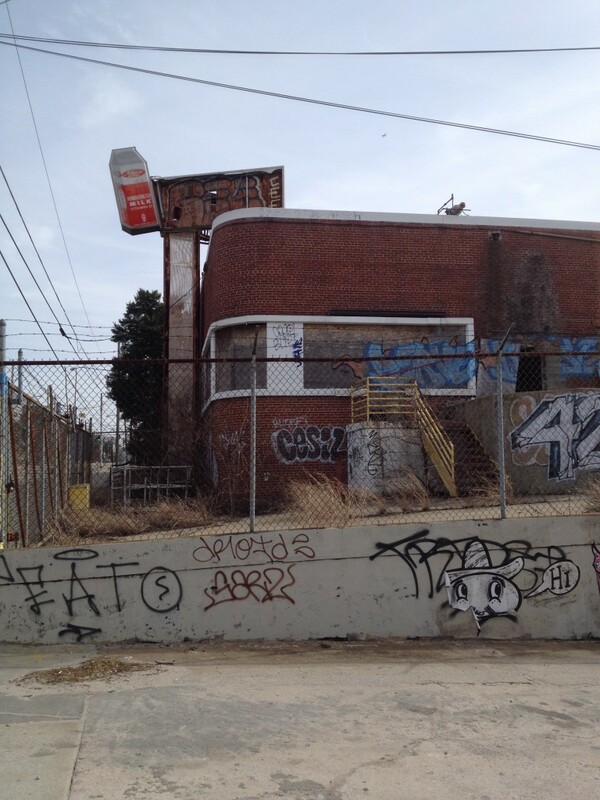 In fact, it’s these existing structures, along with the Beltline, creating an attractive atmosphere for development. 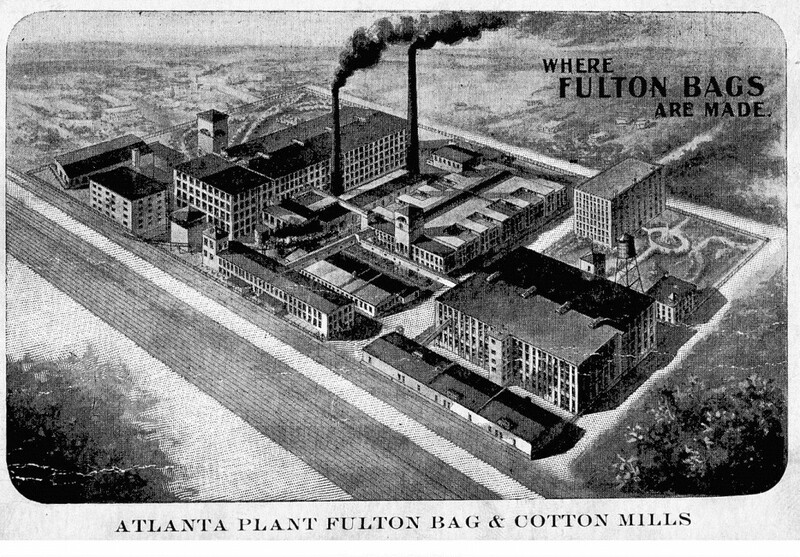 The Atlanta Rolling Mill built in 1858 would grow into the Fulton Bag and Cotton Mill, and the surrounding neighborhood of Cabbagetown arose around this industry. Civil War history emerges from the corridor as well. The Battle of Atlanta occurred throughout the area, with the current site of Tech High School witnessing the battle of Bald Hill or Leggett’s Hill in July of 1864. The battle resulted in nearly 9,500 casualties in one day. 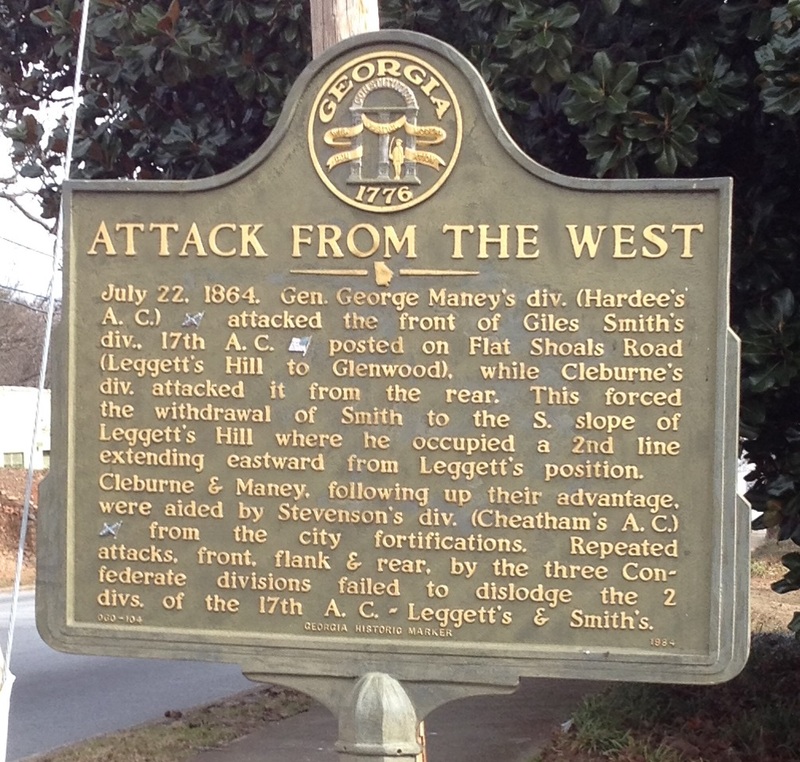 The actual hill itself was leveled to make way for Interstate 20 behind the school, but a historical marker remains on the corner of Memorial and Stovall Street. Industry and railroads began moving in after the Civil War. And when L.P. Grant started donating huge tracts of land for a city park south of Fair Street (the first parcel in 1882) the area developed into one of Atlanta’s oldest and remarkable neighborhoods around Grant Park. Over the next 125 years traffic grew and the corridor became congested. 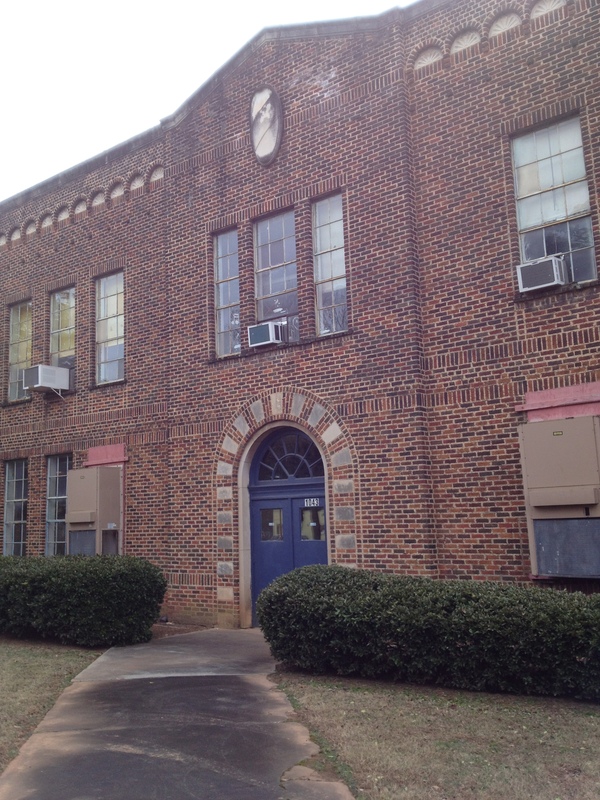 The John F. Faith Elementary School was built in 1922 and remains today. 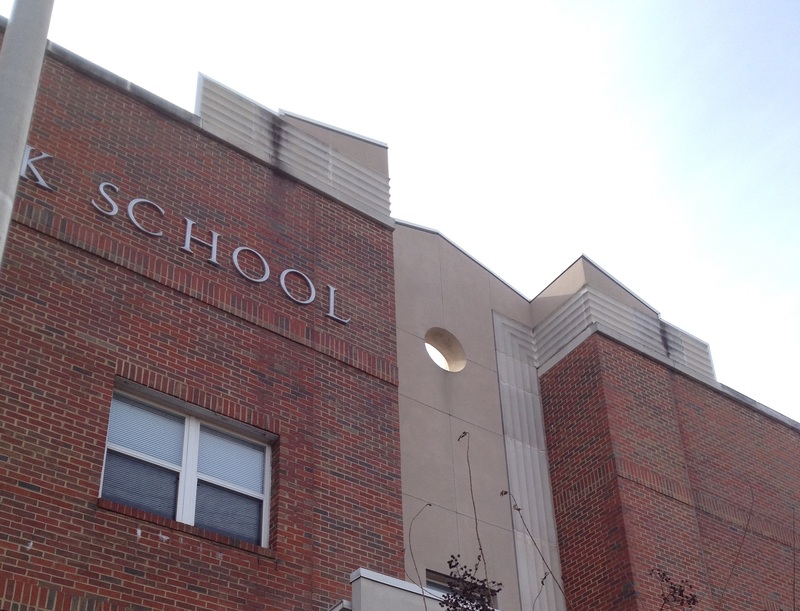 The APC remarks that this structure is the last example of early 20th century school architecture left in Atlanta. What? This school doesn’t sound familiar? Well John F. Faith became C.D. Hubert Elementary School in 1963 and then Atlanta Tech High School in 2004, the current name. Because it connects to the suburbs, the Memorial Corridor features many mid-century buildings, service stations and other structures that showcase America’s increasing reliance on the automobile, particularly buildings built or renovated during the late 1940’s, 1950’s and 1960’s. The Pittsburgh Plate and Glass Building and several old renovated oil stations provide wonderful examples of structures built or changed by the automobile. 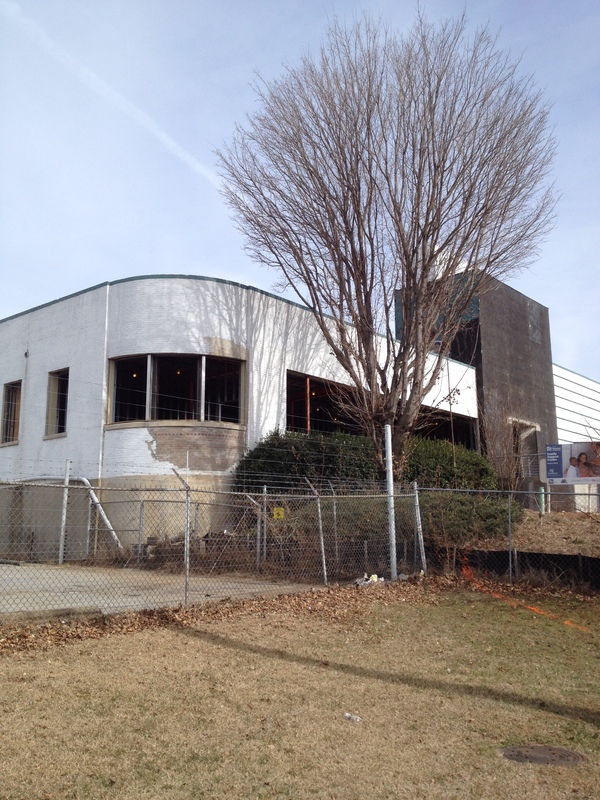 The Pittsburgh Plate and Glass Building is currently undergoing extensive renovations by Habitat for Humanity in Atlanta, and is a striking example of a renovated mid-century 1950’s structure. Warehouses existed on the site of Pittsburgh Plate as early as 1929, but in 1952, with the incredible increase of automobile traffic on Memorial Drive, a service station was added. Another example of an auto-focused business along the Memorial Corridor was the Standard Oil Station, now Augustine’s at 327 Memorial Drive, built in 1954. 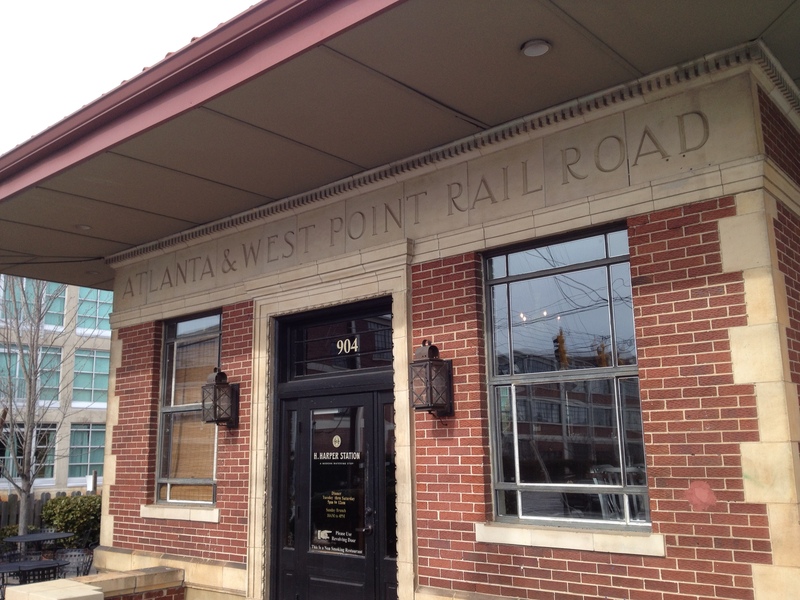 Other historic structures identified by the APC on the Corridor are the Atlanta & West Point Railroad Station (currently a “modern watering hole” called H. Harper Station), the Atlanta Dairy Building (APC says it was built in 1941; Fulton County digital records indicate it was built in 1945) and the current home of Wesley International Charter School, originally Ed Cook Elementary, built in 1948. 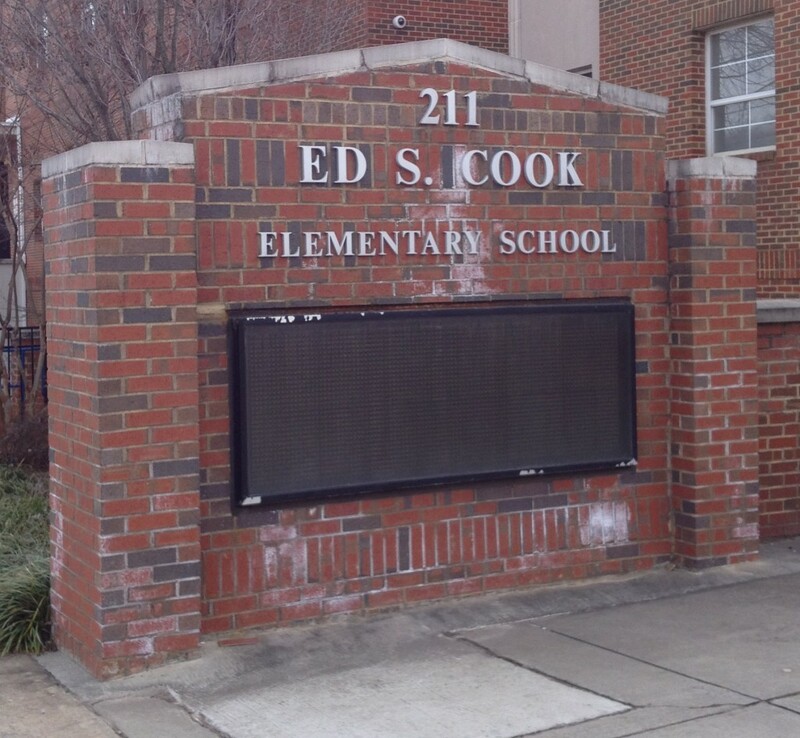 Ed Cook Elementary features a mixture mid-century / Art Deco design; a school has existed on this site on the west side of the corridor since the 1880’s. The old Georgia State Archive also resides in this area on the west side; the 14-story marble building that resembles a giant ice cube is sinking, almost melting, into the ground and struggling to find an organization to rescue it and call it home. 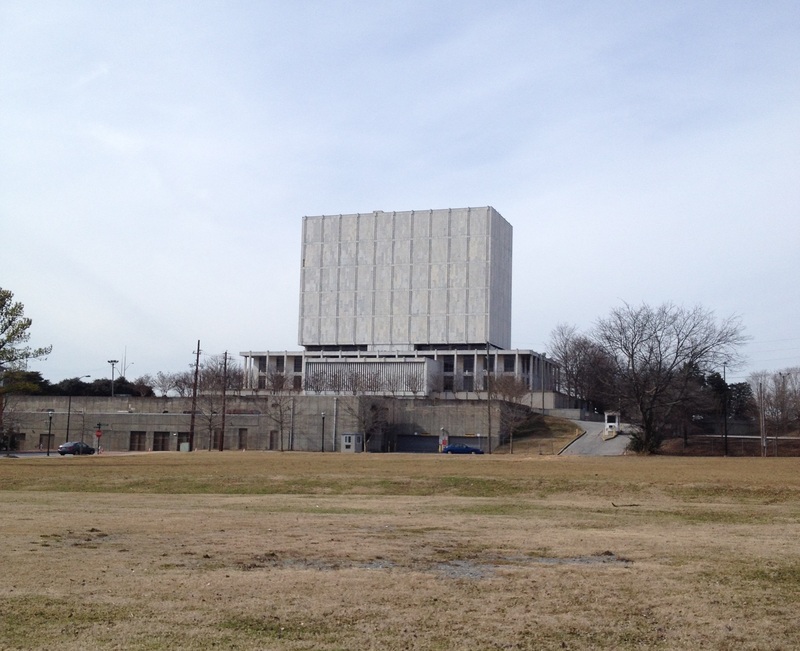 When it opened in 1965 it was considered the best archival facility in the United States. 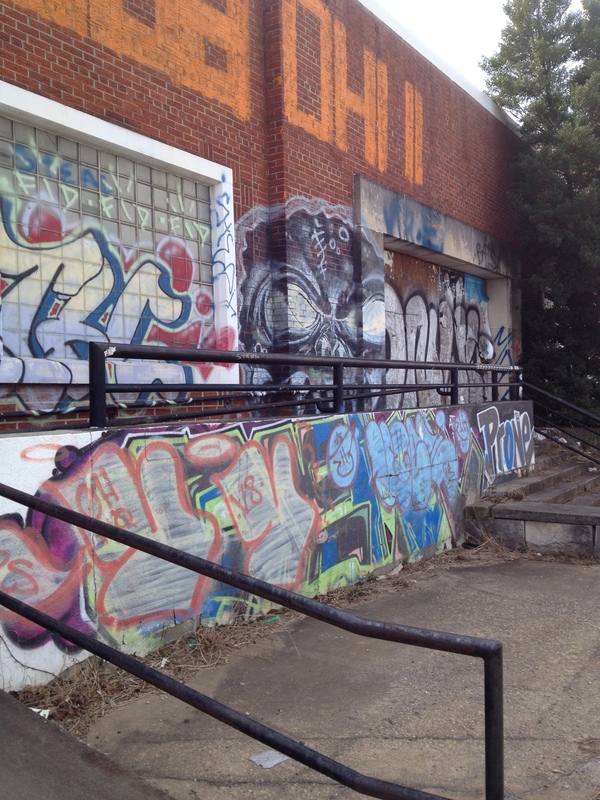 The dangers posed to the buildings that line the Memorial Corridor are numerous; sinking structures, neglectful owners, rampant graffiti artists, etc. 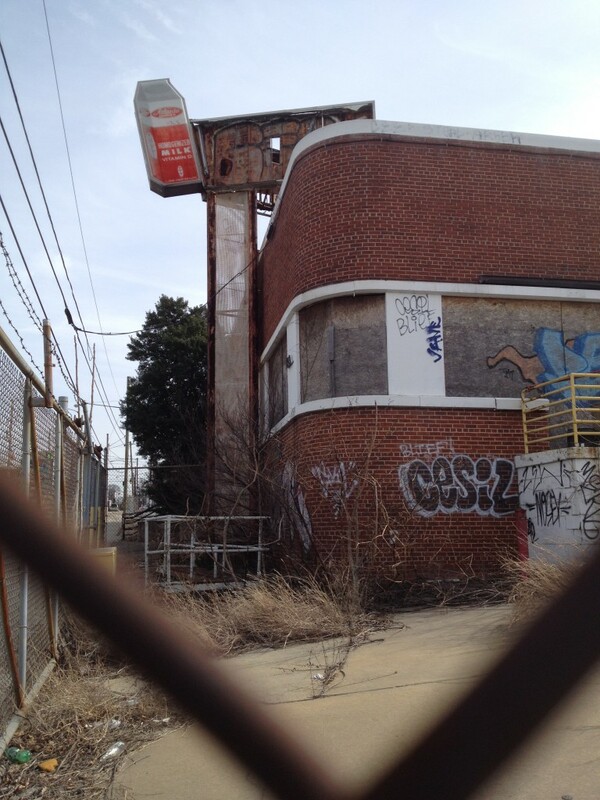 But development poses the major challenge; all it takes is one real estate developer that ignores Atlanta history to destroy a historic structure forever. Just an afternoon drive down Memorial and its clear the neighborhoods connected to the corridor are becoming quite popular. That is a danger of development: people with cash move in and begin tearing down structures when the structures are fine or could be re-purposed in creative fashions. 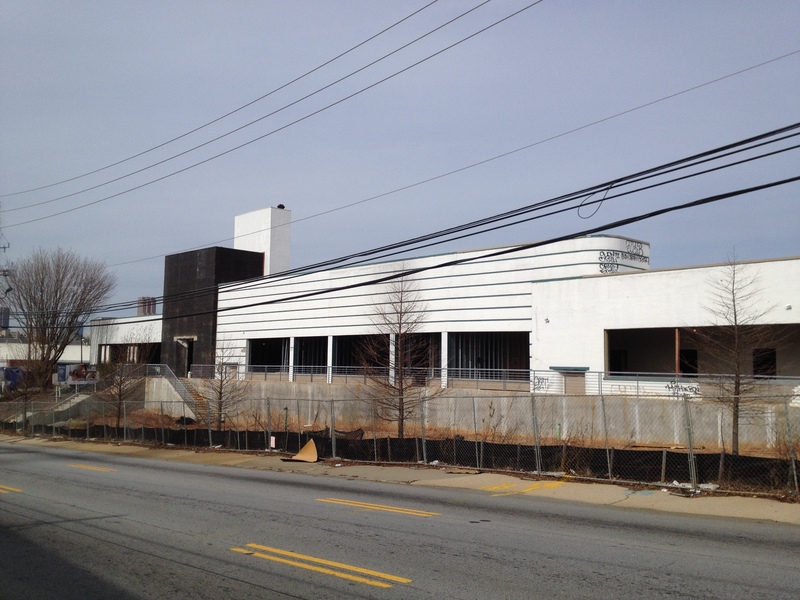 History Atlanta is joining the Atlanta Preservation Center’s call for “Smart Growth” along the Memorial Corridor. Read the APC’s statement regarding the Memorial Corridor here. This “Smart Growth” means the retention and restoration of any historic buildings that reside on the Corridor. 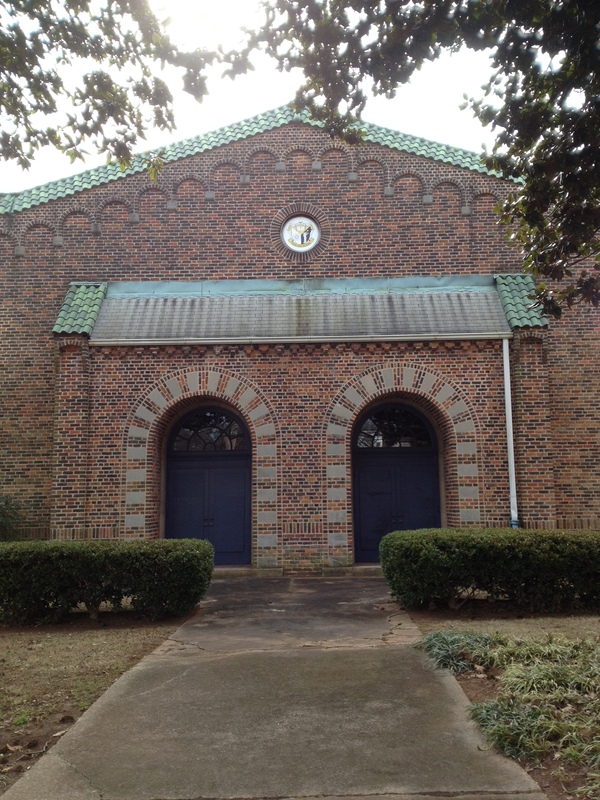 Do you want to get involved in historic preservation in Atlanta? Be sure to visit the APC’s website, read their blog, follow them on Twitter and like them on Facebook (the Atlanta Preservation Center website is the best place to start). 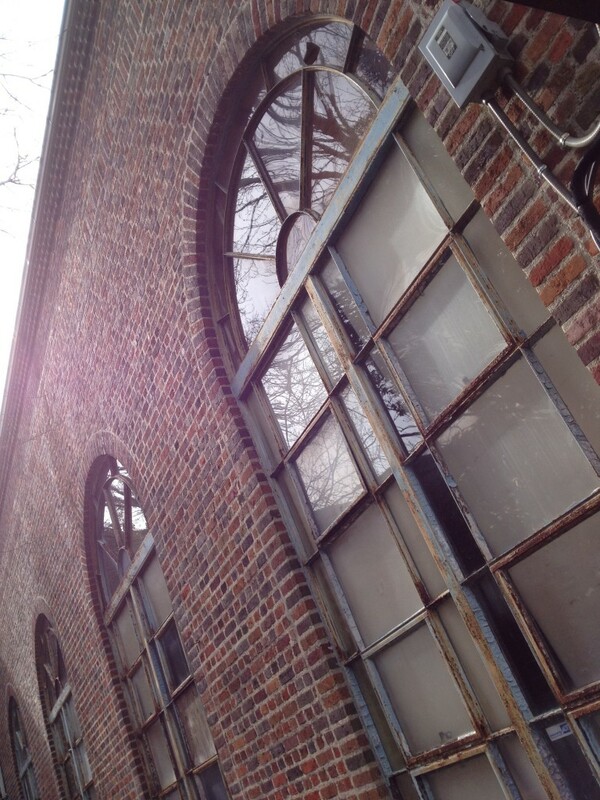 If you love Atlanta history, you will surely love the Atlanta Preservation Center; they host an array of projects, art galleries, historic tours, alerts of endangered buildings and much more. Special thanks to Paul Hammock, Director of Education, Atlanta Preservation Center for contributing to this article. Great catch Jeff. Yes, it was 9,500 casualties. I made the change in the copy. Casualties are combatants that can’t fight for whatever reason… death, injury, capture, MIA, etc. I’m happy you point out http://www.nps.gov... It’s a great history resource. Thanks for checking out the story! Thanks, Conor. Very enjoyable site. A few other things worth mentioning. 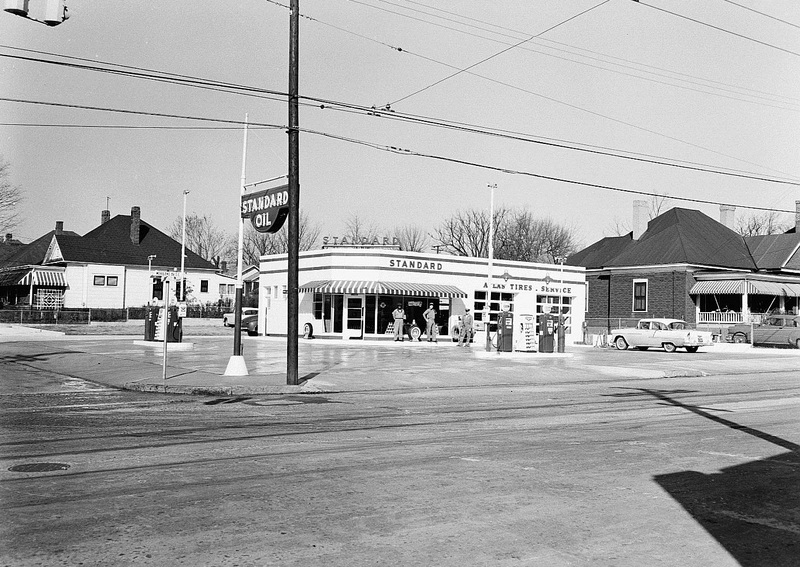 Warren Refrigeration was a major employer on Memorial Drive. Warren Street and the Warren/Holyfield Boys and Girls Club are named after the Warren family. The Faith family also gave its name to Faith Avenue off Moreland. They had a large house on Flat Shoals in Reynoldstown, which was torn down with no fanfare I noticed a few years back. Members of the Faith and Warren families are buried in Sylvester Cemetery on the eastern edge of the East Atlanta neighborhood. Thanks for the comment Larry! We accept submissions if you ever want to write about Atlanta history! The photograph purporting to be the intersection of Moreland and Memorial has a street sign that says Myrtle St…..
You are correct! I have removed the offending image! Thank you sir! Very informative! Can anyone tell me the history behind the street being named Memorial Drive? Is this a Civil War reference, or perhaps an homage to something else? Hi Abstrakt! Yes, it was originally called Fair Street. We did not come across exactly when it was changed to Memorial Drive, but (guessing here) it was most likely changed after the Civil War, since it runs from the city out to Oakland Cemetery.